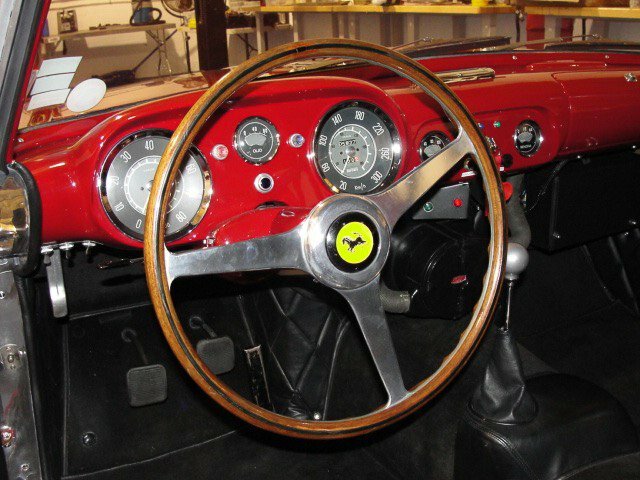 1956 Ferrari Boano GT Coupe, professionally restored by Velox Speed. This Boano is a rare, aluminum bodied low roof. 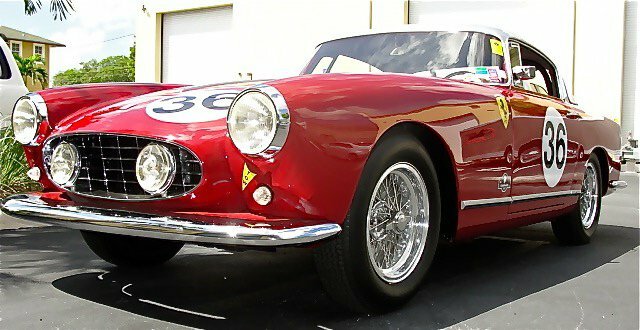 Considered one of Ferarri’s first production cars many of these were used in road and rally racing. 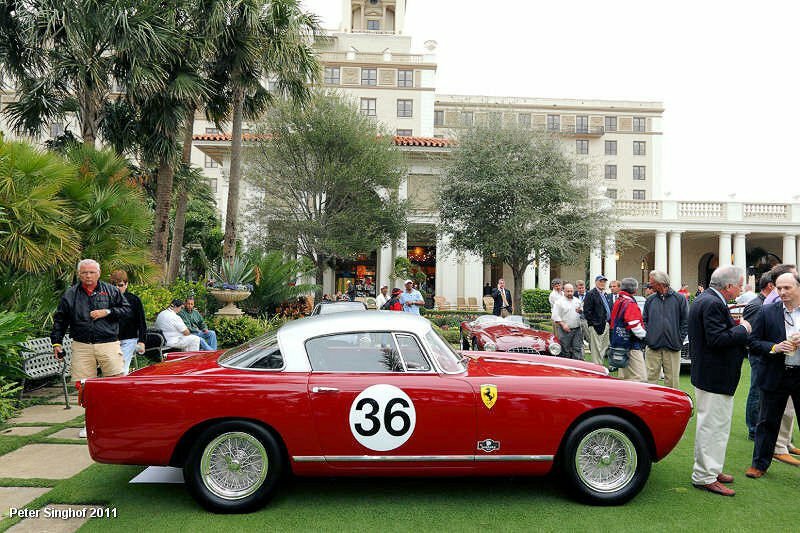 The car is Mille Miglia eligible and competed in the prestigious event. 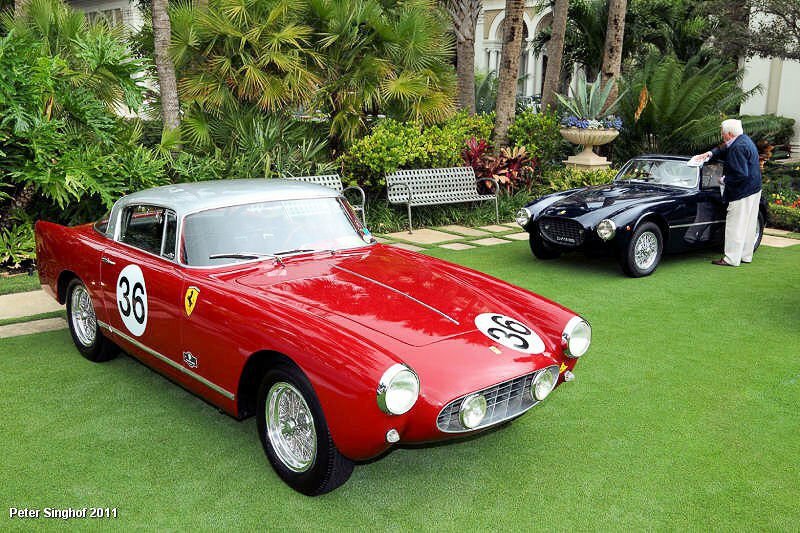 At the Geneva Show in in March 1956, Ferrari displayed the replacement for the 250 Europa GT. Architecture for the new car was quite similar to its predecessor, but the styling was slightly updated. 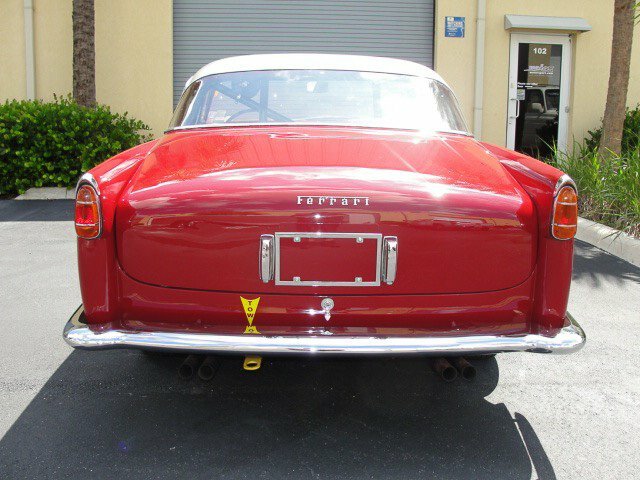 Pinin Farina was responsible for the new design which included a much smaller front grill and discrete rear tail fins. These changes were borrowed from the Series II 410 Superamerica which had similar traits. Chassis 0429GT was first displayed at Geneva with a steel body and aluminum doors and hood. This was followed up by four more Pinin Farina prototypes, two completely made in aluminum. These cars had a distinctive kick-up rear fenders that were not included when the model reached production. 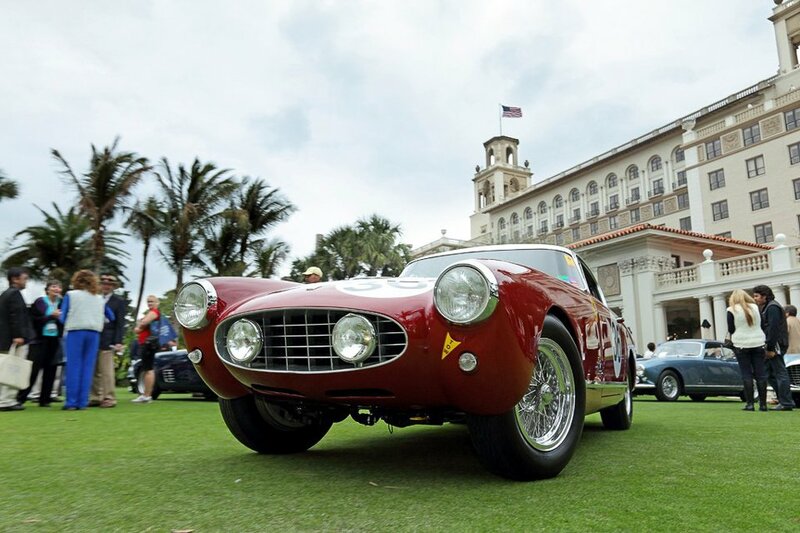 Ferrari and Pininfarina were cautious to get the design right since the GT Coupe would be one of Ferrari’s first production cars with a stabilized design that span over 100 cars. 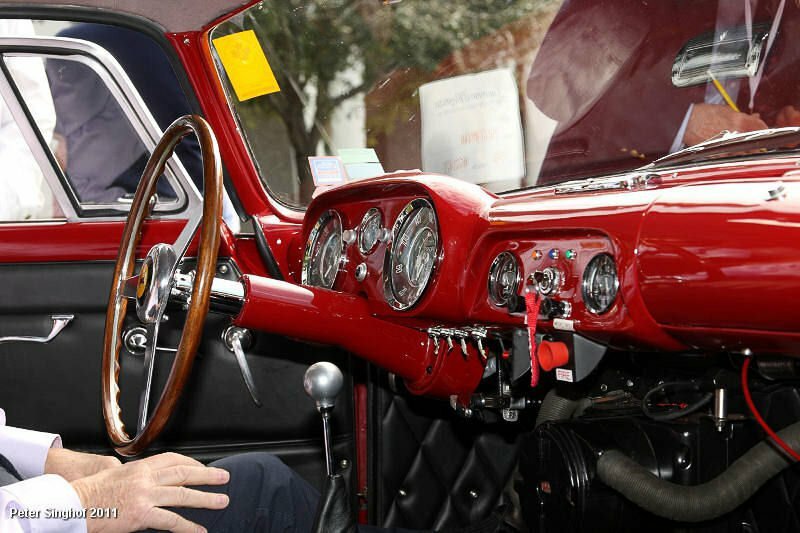 This was nothing compared to numbers of other mass-produced Italian cars, but a huge step for Ferrari. The new GT shared the same 2600mm wheelbase and aluminum alloy, Colombo-designed V12 as the Europa GT. Small changes were made to the design to increase production feasibility. Attached was a fullt synchronized four-speed transmission offering a top speed of 125 mph (200 kph). 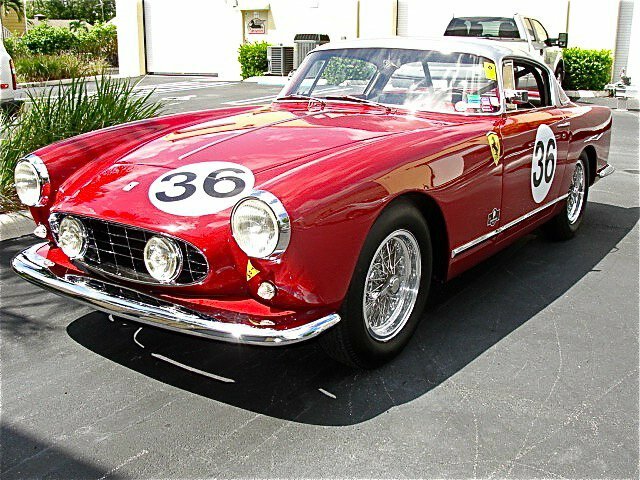 Ferrari was very serious about producing the 250 GT Coupe in large numbers, so much so Pinin Farina couldn’t handle the expected production workload, especially since their new factory at Grugliasco wasn’t complete. Ferrari instead turned to Mario-Felice Boano of Carrozzeria Boano for production of the bodies and interiors based on the Pinin Farina design. Boano had both a design house in Turin and a production plant in Brescia that could handle large orders. Called Carrozzeria Boano Lavorazioni Speciali, they had a dedicated factory in Brescia that was produced with funding from the Ellena family. They gladly accepted the order from Ferrari which was significant. Because Boano acted as a subcontractor, his name was never mentioned in the promotion of the model.